Residential Services | Residential Roofer Serving Houston, TX Area And Beyond! Got a roof leak? Or maybe you need a roof replacement? Whatever your needs, we are the residential roofer in Houston, TX for the job! Third Coast Roofing serves the entire area with outstanding roofing services to help homeowners’ roofs last as long as possible. Our family-owned and operated business work to serve all types of roofs in the area. We offer FREE service estimates, so there is nothing to lose by calling us at 832.792.4975 today! Also, ask about our in-house financing for your convenience. Cedar Shake Roofs Cedar shingles provide superior insulation and even ward off pests from your home! However, these roofs also require maintenance to last their full lifespan. Our roofers can repair and install cedar shake roofs that last for decades! Metal Roofs For a durable roof that can withstand upwards of 40 years of the elements, metal roofs are your best bet. Even the strongest roofs require regular maintenance to last a long time and work their best. We offer repairs and replacements for metal roofs. Shingle Roofs Asphalt shingles are the most common roofing material in the U.S. They can last 20 years or more with proper care and regular maintenance. We are your local source for shingle roof repairs and replacements! Tile Roofs Finally, tile roofs are both stylish and durable. They come in many different styles and colors. Our local roofing contractors are happy to repair and replace tile roofs to help them last as long as possible with our services. Residential Roof Installation Are you wanting to update your home by installing a new roof? Call Third Coast Roofing! We are able to install a wide range of roofing materials such as tile, shingles, and cedar shake! 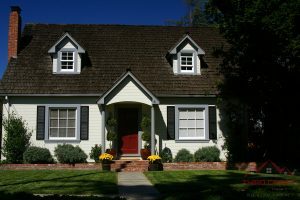 Residential Roof Repair Whether its a minor or major damage to your roof, we have the skills and knowledge to repair it. For professional and affordable roof repair service, you can rely on our roofing contractors. We are your local source for gutter services. Whether you need a repair or replacement, you can count on our roofers to deliver outstanding services for gutters that actively work to protect your roof no matter what the weather! For over 10 years, we have worked to improve our services throughout the area of Houston, TX and beyond. Ready to put us to the test? Contact us at 832.792.4975 for your FREE service estimate and we will get your roof in its best shape today! Updated on March 1, 2019 at 4:20 pm by Third Coast Roofing.